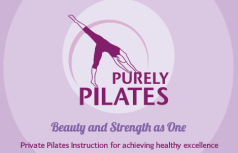 Traditional or classical Pilates is the syllabus of exercises designed by Joseph Pilates, “tried and true” by nature of its creator. Teachers who were taught by Romana Kryzanowska and her daughter Sari know that these exercises were not to be changed or new ones instituted in lieu of them. Knowing this if a client cannot easily adapt to any one of these exercises due to inflexibility, I will always break down the part which can not be executed freely until he or she can understand the anatomical inflexibility block. There are always options in the body….”just watch your client and you will learn a lot” is what Romana always told us.